Why Steampunk? - Nemo's Cabinet. 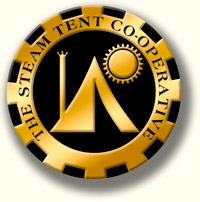 I have run a successful living history education business for many years and spend most of my working life being as historically accurate as possible, so why on Earth would someone like me get interested in the fantastic world of Steampunk? Well, I grew up through a time when cinema was a little younger. It lacked the spectacular digital effects that are possible today and relied more upon props and physical sets. Writers like Jules Verne and H.G.Wells were still the Godfathers of science fiction and a blockbuster film probably starred Doug McClure. Although I can see that things have certainly moved on since then, I still have a great fondness for those Lost Worlds and Journeys to the Centre of the Earth. The impossibly romantic depictions of rocketships and submarines full of pipes and dials, where an English gentleman would save everyone and before settling down for a cup of tea slowly gave way to a dystopian future of renegade Replicants and Alien infested spaceships but I still loved the aesthetic of those old movies. The future I wanted to see at the cinema was never going to be glossy, new and sterile but it would be more industrial than electronic. More visceral than virtual. I have a long list of favourite films but the Steampunk aesthetic runs through many of them like an shining boiler pipe. I like old fashioned things made of wood, brass and leather. Things that were built to last and be repairable. Even when I buy new things, I often modify them to look, feel or work better because it seems to me that the craftsmanship has been squeezed out of most things today by mass manufacture and cheap materials. I have always liked making things. in fact that is what I am usually doing at a living history event. I've already made everything I "need" for my living history work. I've also made everything that Debs needs for that too. I've made pretty well everything that we "want" for living history and quite a few things that we neither need or really want as well. I like making stuff but I'm running out of historically accurate things to make. I'm also searching for a bit more creative freedom. Living history is great but by definition it should be accurate. Nothing wrong with that of course but copying stuff is not quite the same as creating stuff. In this imaginary world, it doesn't have to be something that has ever really existed. It doesn't even have to be anything that works or ever could work. It is pure fantasy. Steampunk offers me some new artistic horizons that are completely different to my daily work. That is not to say that the skills I have developed through living history are not transferable. A great many of the things I have learned can be directly applied to making fantastic artefacts just as readily as making historical replicas. Add to that some more modern workshop skills, a magpie mind and an overactive imagination and I start to ask myself, "Why wouldn't I be interested in Steampunk?"